“No matter where you live, Chemtrails are a source of concern. This is your opportunity to join forces with people from all over the world, who have the same concerns. One thing is crucial; contact your local media. This is vital to show governments and the public that we are organized globally, and that we are prepared and serious. Tell your local governments and media you want an explanation to this destructive activity, and if you are brave enough, demand that they stop! There is safety in numbers, so join up with as many concerned citizens as you can, and make the next International Geo-Engineering Conference on November 22 their last! I am not trying to convince anyone about Chemtrails, but I am trying to awaken curiosity, the will and the need to explore the subject for yourself. To view the original article, please click here! 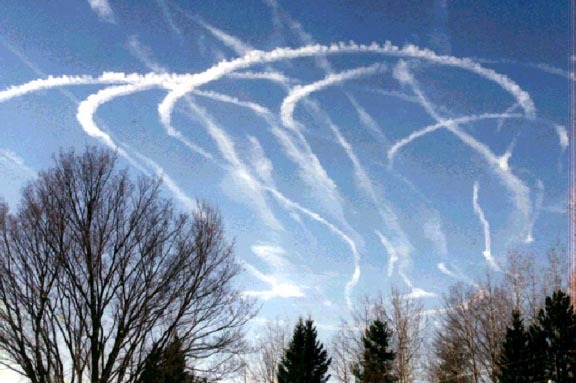 Click here to sign the petition against chemtrails!